There are various educational routes to becoming a software engineer. An undergraduate software engineering program is one option that covers many of the specific areas one would encounter in a professional software engineering position. Computer science and computer engineering curriculum have some commonalities with software engineering and this is why we see software engineers who hold computer science and computer engineering degrees. 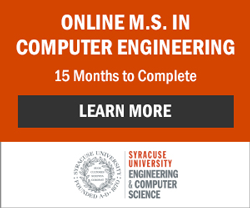 With the limited number of software engineering programs available to students across the the country, computer science and computer engineering are still popular undergraduate degree pursuits for those working toward a career in software engineering. There has been a lot of attention spotlighting the recent and projected growth over the next decade in the fields of software engineering, software development, and application development. A bachelor's degree is a common criteria employers have for entry level and even advanced level positions. No degree program can guarantee a job after graduation, so reasearch schools thoroughly to learn about job placement after graduation and about employers in the local vicinity who offer internships and employ graduates.